Please call if you're interested in any health and wellness products. 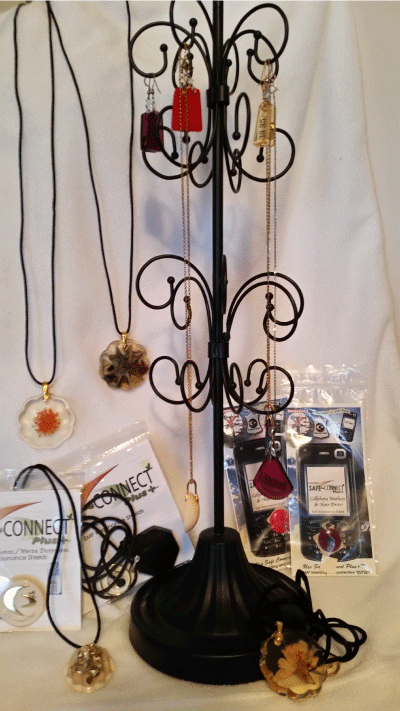 I have a limited inventory, but I can direct you to each individual product's webpage if you're interested in exploring. "Original Hemp Hearts (Shelled Hemp Seeds) — 50% Fat — Guaranteed to Turbocharge abd Lubricate — or your money back", as stated on sample packet. Hemp hearts are a powerful protein, compared to mother's milk as an infant protein with antibodies for the growing baby. Laboratory tests prove that Hemp Hearts are a much better source of protein than milk or meat and a much better source of essential fats (omegas) than fish. Five TBSP (55g) is equal to one quart of milk. See detailed lab analysis at www.hemphearts.com. Free of eggs, nuts, dairy, soy, and preservatives. 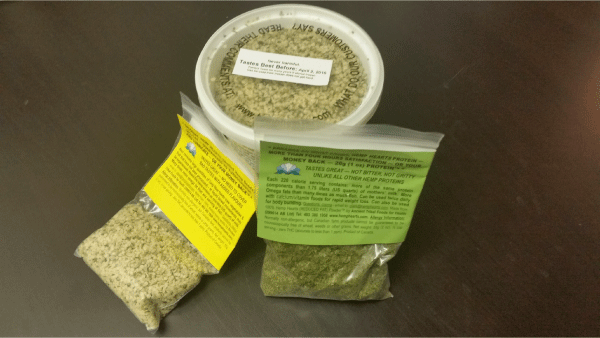 There are other great products from Rocky Mountain Grain Products like Hemp Powder, Hemp Flakes, and Hemp Bars with a large variety of toppings. Most Hemp Hearts digest in the stomach, but some digest and release their fats in the large intestine where they lubricate and facilitate the passage of wastes. When consumed with raw long fiber foods (not starchy, machine processed foods), people have noticed long lasting energy, long lasting relief from hunger and perfect digestive health. Plus they have noted improved tissue health to the point of enhanced cardiovascular health, joint comfort, sugar balancing, improved hair and skin, and even improved mental activity. There is a regimen suggested from the company for weight loss. 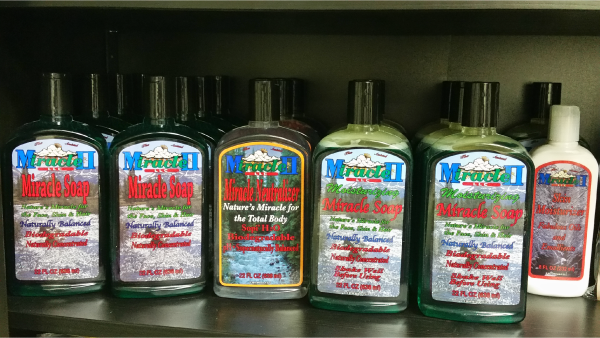 Miracle II … a God Inspired Product by Clayton Tedeton. As stated on the Miracle Soap bottle: "The most complex mixture of complex natural minerals and organics that has ever been blended together. Miracle II is a spiritual revealed formulated product." Has hundreds of uses from cleaning, laundry, and dishes to bathing people and pets, and providing body, face, hair, and oral care. It even breaks down oil, grease, and most stains in the house, car, and garage. Natural insect and germ control; plus can be used in the garden for plant growth, and in the home for odor control. All products are Biodegradable. Ingredients: Prayer ~ Electrically engineered eloptic energized oxygenated water ~ Ash of Dedecyl solution ~ Calcium ~ Potassium ~ Magnesium ~ Foaming Agent ~ Cold Pressed Apricot ~ Sweet Almond ~ Vitamin E ~ And the Anointing of God. Miracle II contains and holds spiritual and eloptic energy beyond measure. Ingredients: Prayer ~ Electrically engineered eloptic energized oxygenated water ~ Ash of Dedecyl solution ~ Calcium ~ Potassium ~ Magnesium ~ And the Anointing of God. Eloptic energized spiked laundry and therapeutic ball. Contains 209 spikes on the ball. No laundry detergent needed, but can use at 25% of the volume. For whites: use 1 cup vinegar with 1 oz green Miracle II Soap. Living Clay — a clean Montmorillonite-Smectite is the source of this product as a natural Calcium Bentonite Clay. It comes from volcanic ash rich in trace minerals which is a powerful detoxifying product to stimulate, transform, and transmit energy to help cellular revitalization. It is pure enough to eat! What this product offers: 325 screen mesh for easy mixing and blending, homeostatic mechanisms to balance the body, fast results, 9.7 pH to alkalize the body, strong negative ionic charge so it absorbs and adsorbs metals and environmental toxins- drawing 32x its molecular weight, stimulates circulation and cellular revitalization, antioxidant to bind free radicals, odorless and tasteless, FDA GRAS, blend of the earth's natural trace minerals, and purity guaranteed by strict quality control processes and laboratory tests. This clay is truly living and adapts to the environment it is placed into for balancing, revitalizing, stimulating and circulation…reconfiguring itself in shape and size until it is full of positive ion toxins from all over the body and ready to expel itself out of the body. There are many company products; some are spa-like and very wonderful to use. 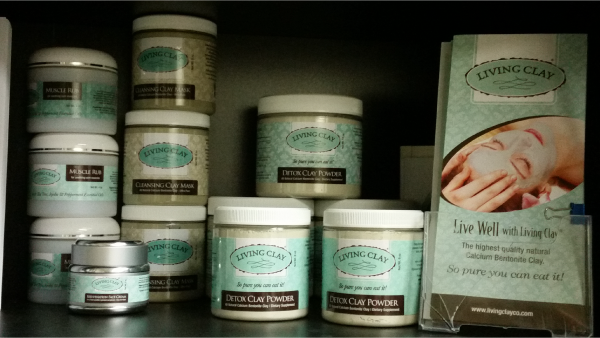 See www.livingclayco.com for full details of the product line Living Clay provides. I carry alot of them but not 100% at all times. Shipping will be added to prices below. Detox Clay Powder in various sizes: 8 oz, 16 oz, 64 oz, 128 oz, 256 oz, and 640 oz. — $12.95, $19.95, $64.95, $108.95, $200, $475.00 respectively. Safe~Connect Plus+ — Protection and Balance for the Whole Body! The world today is saturated with electro-magnetic fields (EMFs) that are from radio and micro-waves from electric and electronic things in our homes, kitchen appliances, cell phones, electrical lighting, cars and other forms of public transportation, office machines, computers and more. These negative fields are invisible, powerful, and weakening to the body's immune system, fertility, psyche, energy, and so much more. 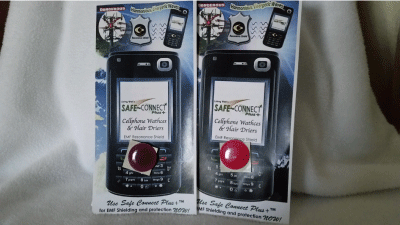 Safe~Connect Plus+ EMF Resonance Shields improve performance, strength, endurance, and clarity…decreasing stress and increasing one's overall sense of well being and healing capabilities. These shields are hand crafted and contain all natural non-toxic crystalline, mineral ingredients which are put into an elaborate computerized energy chamber where the materials are encoded with over 200 harmonious frequencies, then are formed into artistic (some simple, some practical, some elegant) pieces of jewelry for use in the home, on pets, in the car, and on you personally for safety and balancing. These shields never lose their ability to emit a resonating balancing hertz of 7-9, close to the earth's natural hz of 7.83.